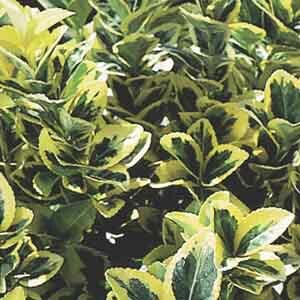 The broad leaves of this evergreen shrub are deep green edged with eye-catching yellow margins. A very dense growth habit makes this a wonderful backdrop for lower growing shrubs or mixed perennials. A classic favorite for landscape focal points. Provides dramatic color and form to autumn and winter landscapes. Ideal for borders, hedges or as a specimen plant.